currently under construction at Pin Oak Bend Drive, Cypress. Sales for available units range in price from $195,000 to $289,950. 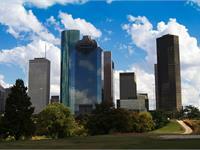 Cypress Oaks unit sizes range from 1652 to 2921 square feet. 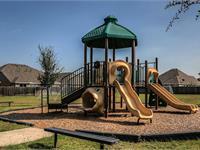 Cypress Oaks has a total of 18 quick move-in homes currently for sale. If you’ve been searching for a community with a convenient location and beautifully built homes, Cypress Oaks is the answer. Just 10 minutes from several major highways and a variety of restaurants, retail and entertainment options, Cypress Oaks is also served by one of the area’s best school districts. Homes in Cypress Oaks feature: 8 elegant, open-concept floor plans Homes from 1600 sq. ft. - 2885 sq. ft. 5 BR, 2-4 BA, 2-car garage Granite countertops & designer cabinets Upscale features and finishes Cypress Oaks Community features: Amazing location 10 minutes from I-10, 290 and Grand Parkway Easy access to Fry Road with a vast array of restaurants and retail Close to major employers in the I-10 corridor and 290 corridor Served by the Cypress-Fairbanks ISD, next to new campus! Your inquiry will be delivered to the Cypress Oaks sales team, who will send you more information about this development.